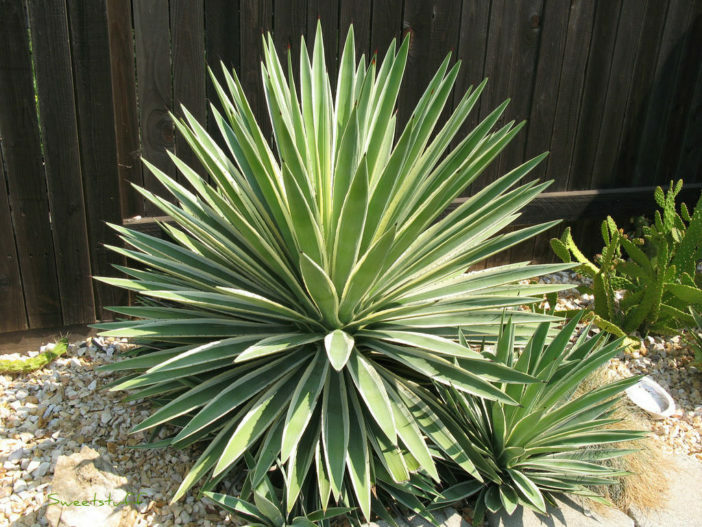 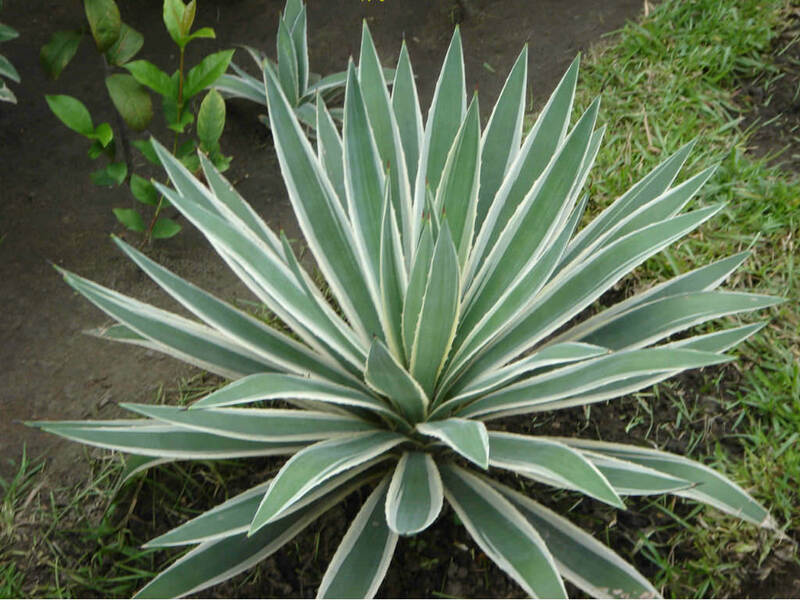 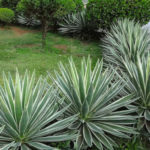 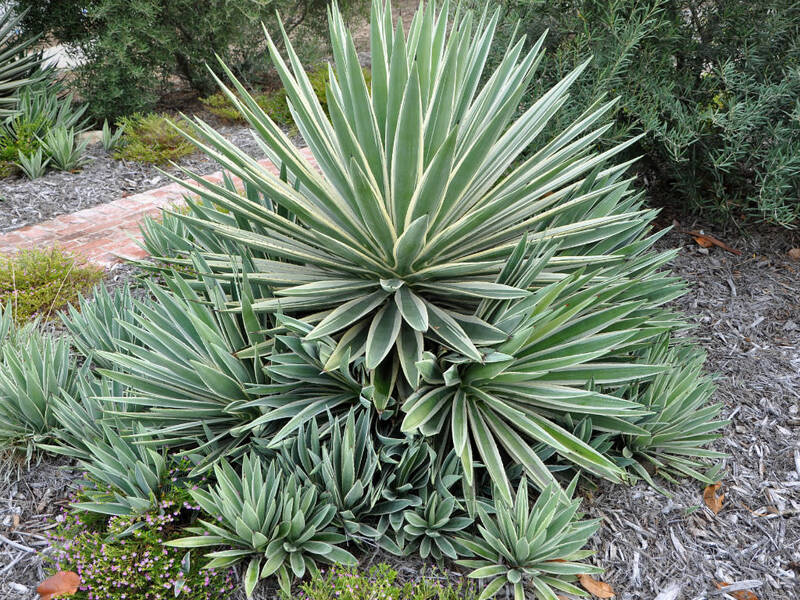 Agave angustifolia ‘Marginata’ is an evergreen, succulent plant up to 4 feet (1.2 m) tall and wide, with a dense rosette, rounded in outline, atop a short trunk up to 2 feet (60 cm) tall that is usually hidden until plants get some age. 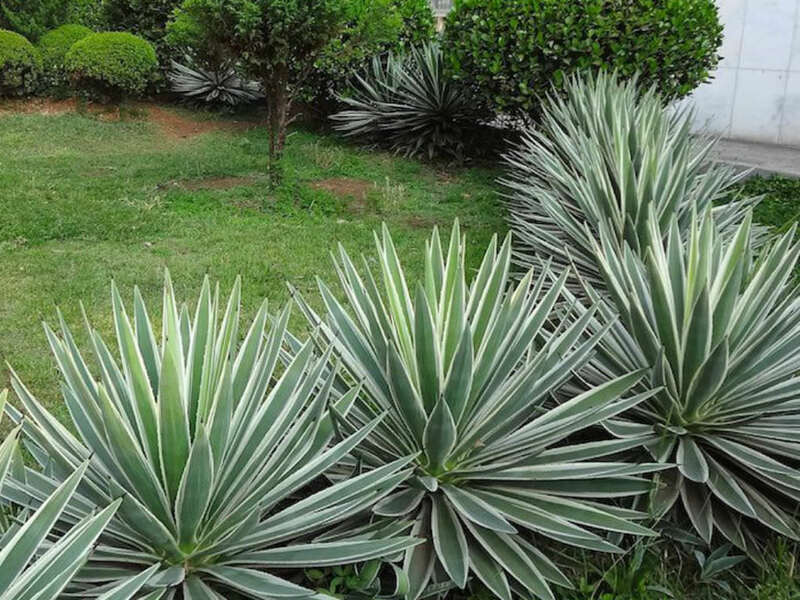 The leaves are up to 2 foot (60 cm) long, fairly stiff, narrow and concave towards the middle with a broad central band colored pale green and strong creamy white margins that often have a flush of pink. 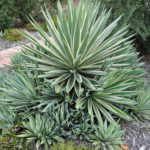 When in flower, which does not occur until this plant is at least 10 years old and often much later, it sends up an up to 10 feet long spike with a well-branched panicle bearing greenish-white flowers. 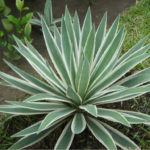 Agave angustifolia ‘Marginata’ is a variegated cultivar of Agave angustifolia.